With 15 estates with exemplary terroirs, Gérard Bertrand is the ambassador of fine wines of Languedoc-Roussillon around the world. He has defended the wealth of his land with passion and enthusiasm for over 30 years. Gérard Bertrand first joined in a wine harvest and discovered his passion for wine in 1975, in the vineyards of the Villemajou Estate in Corbières. He went on to learn more about wine for 12 years alongside his father, Georges Bertrand. Attaching great importance to values such as performance and excellence honed on the rugby pitch, Gérard Bertrand continued his quest to bring out the best in terroirs from his region and promote them worldwide. With that in mind, he decided to take on the running of the family's Villemajou Estate after his father died in an accident in 1987. Five years later, he created the Gérard Bertrand wine company to develop a range of products from the South of France. In the years that followed, he bought the Cigalus Estate, Château Laville Bertrou and the Aigle Estate. The acquisition in 2002 of Château l’Hospitalet, in the La Clape natural park between the ancient Roman city of Narbonne and the Mediterranean Sea, gave Gérard Bertrand a whole new dimension. Since then, the amazing story has gone from strength to strength adding new treasures from the finest terroirs of the Languedoc region, expanded the vision and diversity of Gérard Bertrand wines: Château la Sauvageonne, Château la Soujeole, Clos d’Ora, Clos du Temple, Château les Karantes, Château Aigues-Vives, Cap Insula winery, Château des Deux Rocs, Château de Tarailhan and the Estagnère Estate. Convinced early on that making wine in harmony with nature is the best way to bring out the typical character of a terroir and to create fine wines, Gérard Bertrand switched to biodynamic farming at the Cigalus Estate in 2002. This wine growing technique strengthens the balance between the vine and its environment. It reinforces the quality approach adopted nearly 30 years ago. The group now employs some 300 people in revealing the fine wines of this region. A healthy vineyard, a protected environment and acclaimed wines show just how right this approach is. Biodynamic farming is a strategic priority for the Gérard Bertrand group. All estates have now converted to biodynamic methods and practices. Some parcels have been identified as having unique potential, revealing the individual history of the place and age of an exceptional terroir. They are recognized as the Grands Crus of the South of France. L’Hospitalitas, La Forge, Le Viala and Aigle Royal are some of the gems in the collection, with an emblematic symbol : The Clos d'Ora. A real achievement for Gérard Bertrand, the Clos d'Ora symbolizes the values of his group and the enthusiasm of those who work for him. Designed in an entirely renovated sheep farm, the cellar is located above a geological fault featuring a unique soil composed of hard limestone and clay. In 2012, the first vintage was vinified in humic surroundings in the hills of La Livinière. Syrah and Carignan mostly come from very old vines, while the Mourvèdre and Grenache were planted in 2000. Clos d'Ora is a wine of memory, with a strong identity. Its message: PEACE, LOVE, HARMONY. The pledge of wine-grower Gérard Bertrand. Excellence shared with skilled staff devoted to pursuing this quest and achieving high goals. 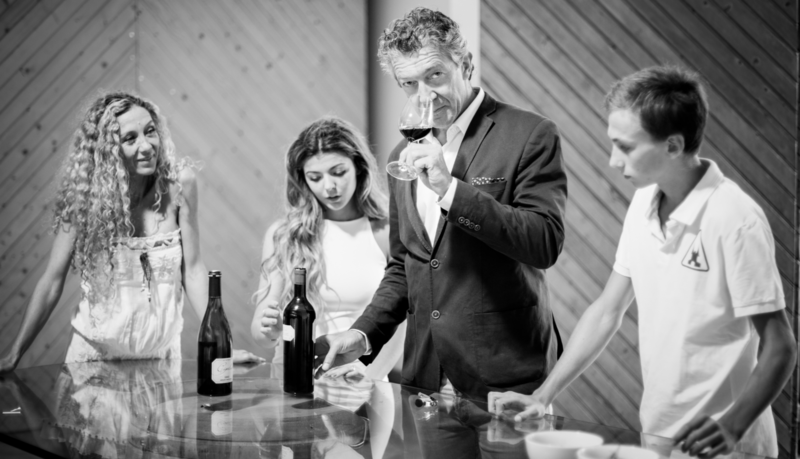 Producing great wines requires patience, maturity and rigor, but the same vision must be shared with one’s team. It also takes a healthy dose of intuition to bring out the soul of the terroir. And understanding the different steps – harvest, bottling, vinification and aging – and not being afraid of "the thousand and one details" that lead to Excellence. Innovation is a watchword for the Gérard Bertrand group, which sets trends through unique, delicious wines and exquisitely designed bottles. 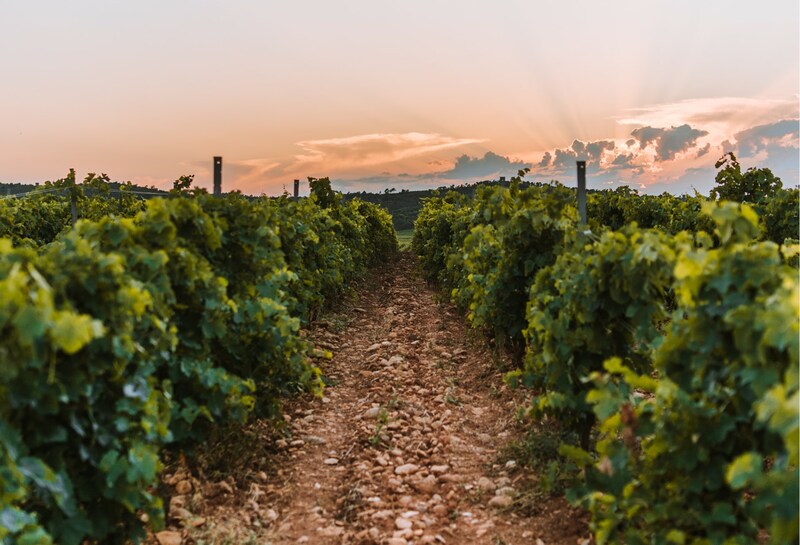 Production covers high-quality wines, biodynamic wines and organic wines with or without sulfite for all types of consumers, as shown with our Autrement, Naturae and Réserve Spéciale ranges. Innovation also means novel, immensely beautiful bottle designs, such as those for the Côte des Roses or Perles de Sauvignon range, created by French designer Chantal Thomass. Being at the forefront of trends is part of the Gérard Bertrand brand’s DNA, offering wines and labels that meet the varied expectations of consumers around the world. A strong commitment to biodiversity. The group continues its commitment with a sustainable development policy. It has taken an important step in carrying out a carbon emissions assessment. This proactive policy meets growing demand from consumers and the planet’s need to reduce the climate damage caused by greenhouse gases. Gérard Bertrand also works with renowned French photographer Yann Arthus-Bertrand, founder of the GoodPlanet Foundation, on the "10,000 trees objective" agroforestry program in Languedoc-Roussillon. Bringing out the heritage and art of living of a region is also about emotions. The emotion of a drink shared with friends, of coming together as the music plays or discovering local produce. Château l’Hospitalet, the group’s head office and an exceptional spot, is entirely dedicated to the Mediterranean way of life, offering a setting for celebrations, dinners and friendly gatherings for wine lovers. The Jazz Festival has become a true symbol, attracting headline French and international artists for over 15 years who electrify the starry nights at Château l’Hospitalet, contributing to the growth in local tourism and culture. Over five days of celebration, the estate courtyard provides a unique, intimate venue for concerts welcoming nearly 1,400 people every night. Every Friday, all year long, jazz groups put on live entertainment at concert dinners with wine pairing options to bring together food, wine and jazz. Since these events began, artists have been selected by Gérard Bertrand together with Dominique Rieux (Big Band Brass). September’s Harvest Weekend and the Pruning and Truffle Festival in December are two unmissable events for sharing wine and special times with friends. Conviviality is also the experience of a three-star hotel and fine-dining restaurant in the heart of an active wine estate... an exploration of the wonders of the region. The dove and the chalice are symbols of immortality. They can be found in villas from the Roman period (the most famous sites are in Germany, Morocco and Venice in the Sant'Eufemia Church). For the Gérard Bertrand group, they represent sharing. Alpha and Omega are the beginning and the end, the cycle of time and nature. The 12 Points represent the 12 months of the year, the signs of the zodiac and the lunar and planetary cycles used in biodynamic methods. The cross represents the four cardinal points. The remains of steles and palaces are marked with this cross. One of the most surprising examples is a stele positioned upside down in the church in Rennes-le-Château, a village famous for holding the secret to the Cathar treasure hidden by Abbot Bérenger Saunière, a member of the Priory of Sion.